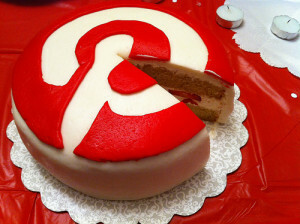 Pinterest is the latest social media darling, and it’s easy to see why. It works as both a content curation tool and a content marketing tool. The key is using it in a way that doesn’t feel “sales-y” and that offers a useful visual experience for your audience. The primary benefits are increased exposure and content discovery in one click. Any of you who use Pinterest for book marketing, how’s that working for you? The answer is yes, and it’s working well. Renee DeCoskey wrote a brief overview of big brands using Pinterest for content marketing. What about the smaller ones, or even individuals (like authors)? At SixEstate, we offer social media campaigns to supplement Newsblogging services for all kinds of businesses, including authors. Our co-founder, Steve O’Keefe, is author of the seminal 1998 book, The Complete Guide to Internet Publicity, and he has promoted hundreds of authors online since then. Some authors hire us to establish their social media presence on several sites, including Pinterest, as part of their overall content marketing efforts. My personal introduction to Pinterest was when a fan created a pinboard from material in the Micropolitan Manifesto, which itself was content produced to promote my forthcoming book. Here are a few things we’ve learned that apply to authors, or anyone else interested in building brand awareness, on what is now the nation’s third largest social media site, according to Mashable. The result is an experience which sorts the Web visually based on your tastes, interests, and — why it is so appealing to content-focused marketers — organizes the desired products, experiences, and aspirations of Pinners. One marketing benefit is that all of your pins are funneled to other social media, such as Twitter and Facebook, for additional exposure. Authors benefit by creating pinboards that further their brand “off the bookshelf.” At best, authors can evoke a visual experience that references their books’ themes. A hallmark of content marketing is to provide true value, and, with Pinterest, that value is introducing board followers to the world your book embodies. Be creative. The whole point of Pinterest is collection of themes — but are you using your pinboards to tell a story? This encourages followers and sharing. Infographics are a great place to start, especially for non-fiction. However, this tactic can also be used for non-fiction. Are you doing a board for each book? Is your main character pinning? Take advantage of sharing pins and pinboards on Facebook and Twitter. HINT: Installing the Pinterest bookmark makes it fast and easy to add pins to a board while you’re browsing online. Pinterest hasn’t unveiled proprietary analytics but you can get a good sense of what works based on the growth of three numbers: the number of “likes” and “re-pins,” as well as the number of followers. Additionally, every single one of your pins includes a link back to the source. This doesn’t affect search results directly but allows your awesome book cover (or other content on your website) to be discovered with one click. Finally, remember that Pinterest offers another content marketing benefit, too: being seen. Image by ShardsofBlue (Roxanne Ready), used under its Creative Commons license.